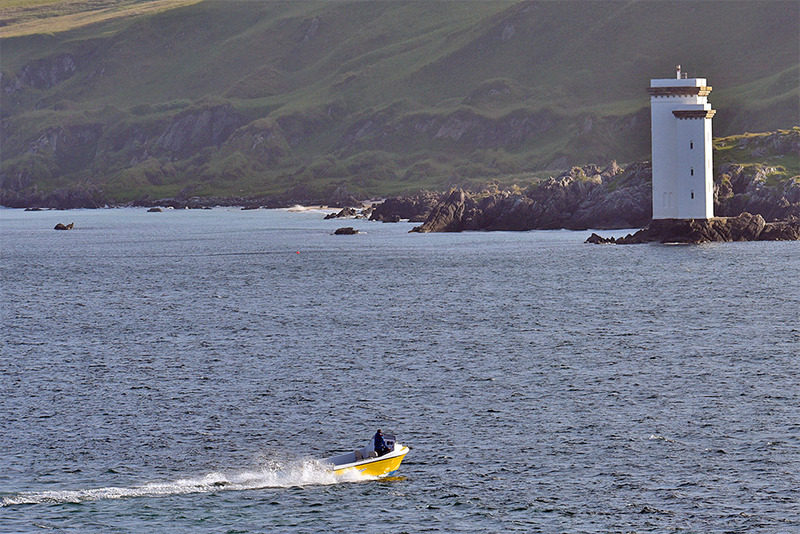 Watched from the incoming Islay ferry to Port Ellen, a motorboat cruising past the lighthouse at Carraig Fhada. The Singing Sands in the background. This entry was posted in Beaches, Landscape, Lighthouses, New Post, Sunny Weather and tagged Carraig Fhada, ferry, Islay, Port Ellen, Singing Sands, The Oa by Armin Grewe. Bookmark the permalink.